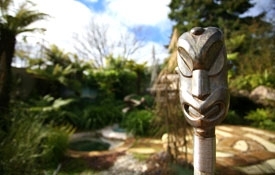 There are a lot of attractions in Taupo from the relaxing to the exciting. There is stunning scenery and also cultural attractions. 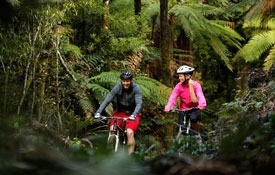 Taupo is the perfect central location for day trips to the Tongariro Crossing, ski fields, Waitomo Caves, The Hobbit filming location, Hawke's Bay wineries and Rotorua. Taupo and the Tongariro are world famous for trout fishing and the motel has its own guide. 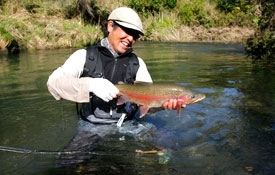 Please contact the motel for more information on a great day or half day out fly fishing. If you are looking for excitement, give any of these a go: helicopter flights, rafting, float plane flights, sky diving, quad biking, horse riding, bungy jumping or parachuting. 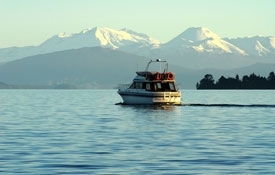 Cruising on Lake Taupo or enjoy the scenery on the Waikato River. 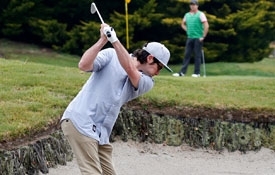 There are great golf courses all within a short drive from Taupo. There are some great walks around Taupo, including the walk around the lakefront and the Tongariro Crossing. Taupo is in the middle of a geothermal active area with lots of stunning thermal parks to visit.